Gonzalo Higuain insists Maurizio Sarri will get the best out of him at Chelsea - just as he did at Napoli. 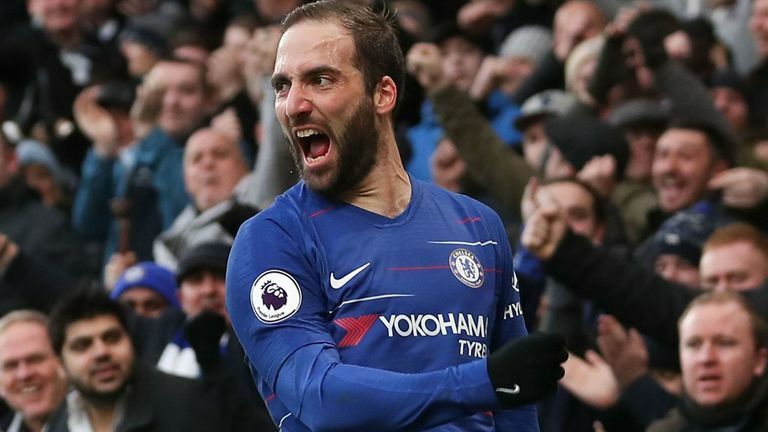 Higuain moved to Stamford Bridge on an initial six-month loan in January and hit the ground running with two emphatic strikes in Chelsea's 5-0 thrashing of Huddersfield. The Argentine enjoyed the highest goalscoring return of his career during Sarri's tenure at Napoli, finding the back of the net on 38 occasions in 2015/16. 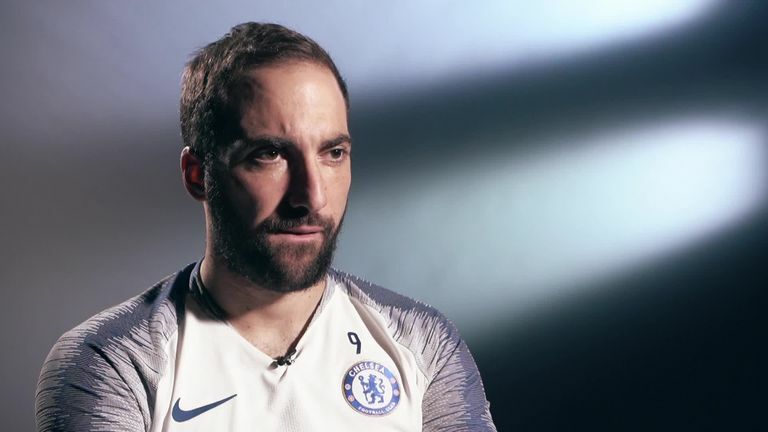 And, in an exclusive interview with Sky Sports, Higuain is confident Sarri could help him rekindle that form in the Premier League. "He is the coach that has got the best out of me," the 31-year-old said. "I know him well, he knows me well. "I'm hopeful I will get back to that level we had before, this is the idea. He is someone who helps me, knows my game and how to get the best out of me. "I am very happy to be here. It's a wonderful club with a wonderful stadium and it is really a fantastic experience. I hope with time that this team will be able to achieve all the goals they can." The more goals I score, the more confidence I have and the better I feel about my game. Higuain traded AC Milan for Chelsea after an underwhelming loan which yielded just eight goals from 22 games in all competitions for the Serie A side. A testing spell at the San Siro has seen Higuain's suitability to the Premier League questioned, but the striker insists he does not have a point to prove to anyone. "No, not at all," he replied. "I am someone who always does my best and tries to improve. "After Napoli I went to Juventus and won two leagues, the cup and got to the final of the Champions League. "It's true there have been a few months that have been harder at Milan but I don't feel my level was any lower than it was there. After a record season with Napoli, though, it's hard to live up to that. "But I am someone who is growing different aspects of my game all the time and, after these six months where the situation was more complicated, I hope to recapture my true form with Maurizio Sarri and Chelsea. "After six years in Italy I felt I had achieved a lot there, it was very demanding, of course, but when the opportunity came to come to England it was too big to miss out on. "To come and join Maurizio at such a great team like Chelsea, I didn't hesitate for one second. I am proud to be here and hope to perform to the best of my ability."